Major General Contractor specializing in retail, office space, hospitality, and multifamily is looking for a Preconstruction Director. Duties include working with clients to prepare budgetary pricing, managing construction budgets through schematic and design development stages, managing constructability reviews and evaluating proper use and cost of construction materials. We offer a work environment that appreciates honesty, hard work, open communication, respect and teamwork. Must be proficient with Excel and Word and extremely organized in a multi-task environment while possessing the ability to manage and meet multiple deadlines. The position will require collaboration with other departments to ensure a seamless transition to operations. Prior construction management and estimating experience required. 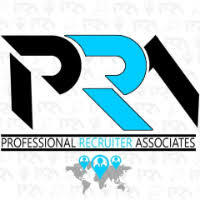 For immediate consideration, please forward a copy of your current resume to info@profrecruiters.com referencing job #1729 or a link to this job.